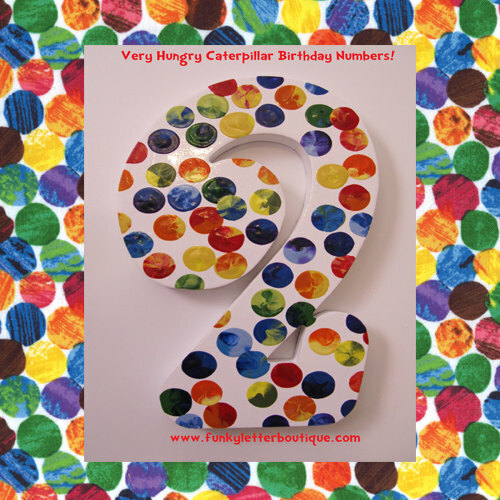 Very Hungry Caterpillar Birthday Party Decoration Wooden Number First Birthday Decor Great photo props! If you are planning a Very Hungry Caterpillar Birthday party these are a must have! They are hand painted made to match the vibrant polka dot theme that is in the book. 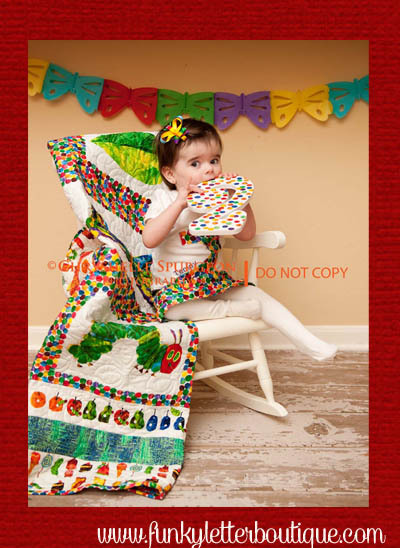 If you are a big fan of the very hungry caterpillar be sure to check out my store. I can paint custom name letters, frames, stools, light switch covers pretty much anything you can think of!